We had the opportunity to interview India’s first ever medal winner for eSports at the Asian Games 2018 – Tirth Mehta. The Hearthstone player, who goes by the IGN (in-game-name) “gcttirth” brought home the Bronze medal at this year’s Asian Games. This is history in the making folks, one that could change the future of eSports in the country forever. eSports was a demonstration sport at this year’s Asian Games 2018. This meant that any medals won would not count towards the total tally of a country’s medals. But the fact that a major tournament like the Asian Games is now considering eSports is a huge deal. As a part of the demonstration, six games were played at the Asian Games 2018, this included Hearthstone, Starcraft II, League of Legends, Clash Royale, Arena of Valor, and Pro Evolution Soccer. 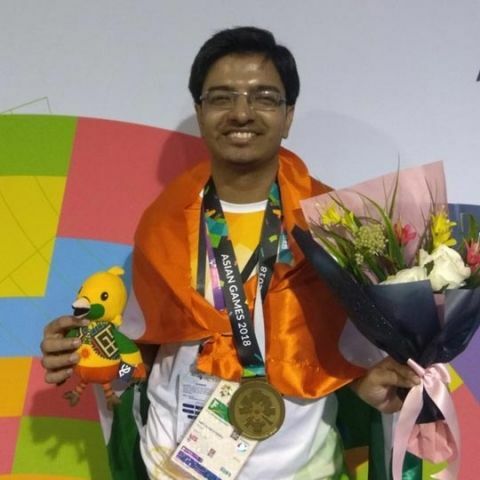 We sat down with Tirth and learned a bit more about how he prepared himself for the Asian Games and about what he plans to do in the future. Is India heading towards an eSports boom? SKOAR! : How does it feel to make history as India’s first eSports medalist? Tirth: It definitely feels good. Every gamer, every athlete, dreams of representing their country in an international event. And what better way to do it than with a Bronze Medal at the Asian Games. Which is probably the second most important event after the Olympics itself. SKOAR! : What was your stay like in the village? Tirth: Even though eSports was a demonstration event, we were accommodated in the village itself. Here, we got to meet various sportspersons with whom we interacted with at the dining hall. There were cultural events organised as well, so the environment over there was really good and every volunteer was working their hearts out and they really wanted the event to be a success. It felt really good to be there in a welcoming environment. SKOAR! : Who was your toughest opponent across the entire run, from the qualifiers to the Asian Games 2018? Tirth: The qualifiers were relatively straightforward. I lost like two games throughout the Indian and South Asian qualifiers. The players at the main event, however, were definitely tougher opponents. I had played against them three years ago and they’ve always been a tough fight for me. The player from Hong Kong (who would go on to win gold) was definitely one of the better opponents I had to face. SKOAR! : How did you improve your skill level? Did you have any coaching? Are you completely self-taught? Did you dedicate daily hours to practice? Tirth: The hours I spend depended on whether or not there was an upcoming major tournament. If there isn’t I usually spend a couple hours a day if there is I spend between 5 hours to 14 hours a day playing. I mostly practice with other friends, the tournament is different from playing vs random players, so I have a group of competitive like-minded players that I practice with. SKOAR! : On what platform do you interact with your friends? Tirth: Most of the international players I know are on Twitter, that’s how I mostly contacted them. Now discord is taking its place, so now I maintain contact with them over discord as well. SKOAR! : What’s your favourite deck to play? Favourite class to play with? Tirth: My favourite class is definitely the priest. I’m known as a priest expert in the South-east Asian scene. 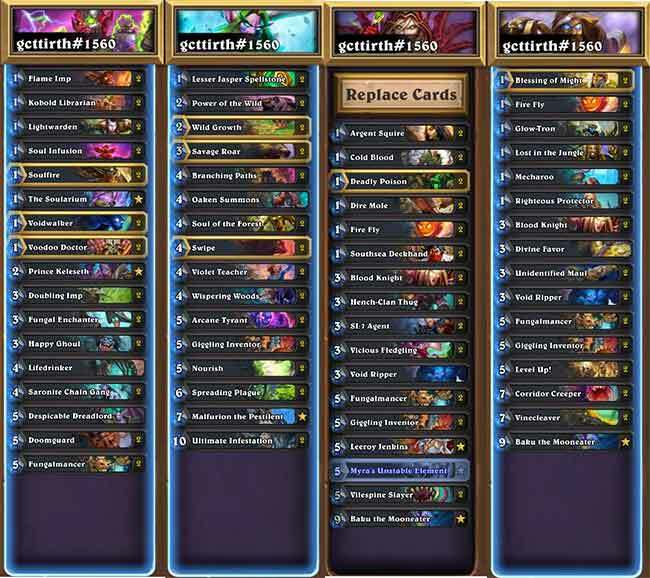 I contribute as a priest expert in the tempostorm meta snapshot as well, which is basically an article which details the metagame on Hearthstone. It basically gives you an idea of which classes and decks are good. I’m an expert there and I cover for priest and paladin decks. Unfortunately, it (priest) was a bit too weak and I couldn’t bring it to the Asian Games. SKOAR! : What do you feel should be done to encourage more eSports players to consider it as a career? Tirth: Most eSports players face issues like parents not allowing them to compete in events and forcing them to go to school, which makes sense. But they should give their children some chance to at least prove themselves. Give them permission to attend at least one or two events and see if they succeed there. I think if the parent’s mentality changes, hopefully, it will with this event, then I’m hoping that eSports players in India can show their potential to the world. SKOAR! : Could you detail the support that you received from your parents and your teachers? Tirth: My parents have always been supportive, they know that whatever I do will be after careful thinking and consideration. So when I started playing Hearthstone in 2014, I only played a couple hours a day while focusing on my studies but they allowed me to do whatever I wanted, as long as my studies were not affected. In 2015 I got into a big tournament and it had a decent prize pool and that’s when they came to know that this can be a viable source of income. Since then I’ve been playing it more competitively. SKOAR! : What do you think is lacking in India to push eSports into the mainstream? Tirth: I think we have the skill, like I know other Indian Hearthstone players who play just like me or even better than me but they are restricted by their parents. Another common issue is that they don’t have their passports ready because of which they cannot play in international events like the qualifiers for example. I think these are the two issues every eSports player is facing in India. SKOAR! : Are you planning on making eSports your primary career? Or do you have other plans for yourself in the future? Tirth: The good thing about Hearthstone is that I can do multiple things with my time. I don’t have to practice as much such as in other competitive games like DotA or Counter-Strike. Since it’s a strategic game, as long as I have the mindset I can succeed. I’m planning to pursue game development as well while competing in Hearthstone tournaments and then I’m looking to organise other tournaments to hopefully promote other Indian players and hopefully they’ll be able to represent India in future upcoming events. SKOAR! : Any other eSports tournaments/competitions you’re planning to participate in? Tirth: None that I’m aware of at the moment. There are Hearthstone official tournaments which are basically 3 months, season-long tournaments. I couldn’t participate this time as I had to go play in the Asian Games. But if there are any other local or online tournaments I would definitely play in those. SKOAR! : Aside from Hearthstone what do you do? What do you study? Any other games you enjoy? Tirth: Just a couple of weeks ago I gave my exams for my last semester of Masters of Science in Information Technology. I was pursuing that through distance education through Sikkim Manipal University so I only had to go to attend the exams. Apart from that I also play DotA here and there, and with friends, I also play Fortnite. SKOAR! : Any tips for aspiring Hearthstone gamers looking to make it big? Tirth: I would suggest you play in the challenger cups which are organised every day, during the night, unfortunately. But if you want to compete in Hearthstone tournaments in the future, I think you have to start practising right away. Even if you don’t have enough cards or even if you feel like you’re not up to the task I strongly suggest you just start participating in these tournaments because you will get to meet like-minded people that will always be there to help you. That’s how I started my career and I think it has helped me a lot. SKOAR! : Are you planning on getting better structure around this? Getting coaches/managers, fostering another team for Hearthstone or Dota perhaps? Tirth: I’m definitely planning to organise tournaments for Hearthstone and DotA to promote other players. I personally don’t need any managers or coaches in Hearthstone but I definitely want other players to enjoy my experience to participate in other tournaments. I’m planning to do that through streaming. I’m going to try to stream every day and coach other Indian Hearthstone players. And there you have it, the first ever esports medalist for India. You can follow Tirth on Twitter here, and you can find his Twitch stream here, be sure to drop by and show your support.